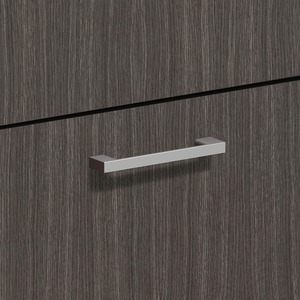 Option drawer pull is designed for drawers in the HON BL Series Laminate Furniture. The Polished Arch Pull offers a distinct look with sharp lines and clear opening so you can easily pull open desk and lateral file drawers with an overhanded or underhanded motion. Metal pull includes attachment hardware.